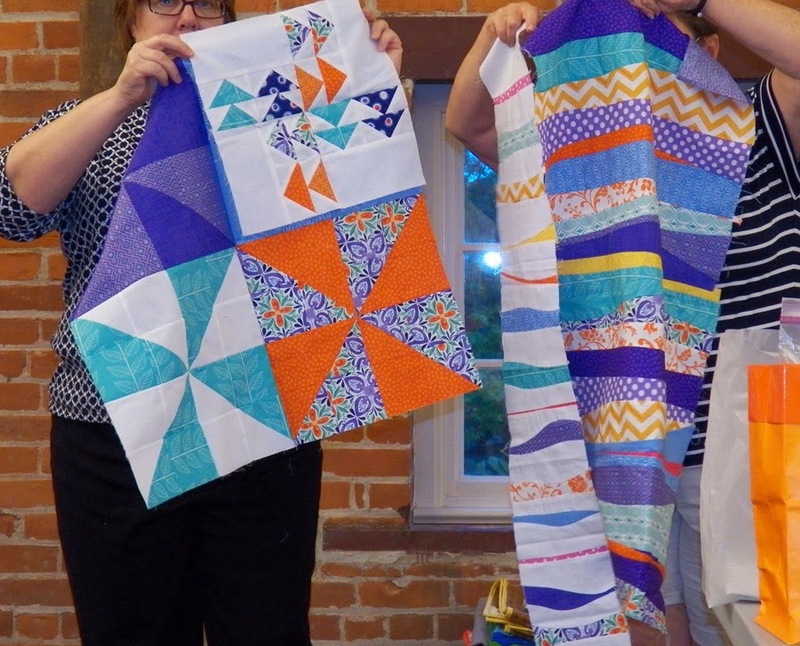 At the September Cincinnati Modern Quilt Guild meeting, members participating in the traveling quilt challenge showed off their latest blocks or sections. 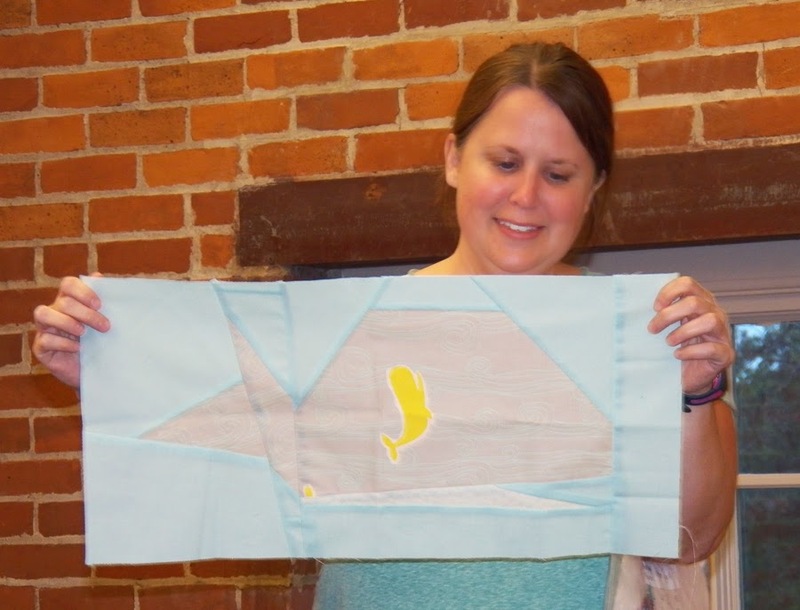 Amy made this cute whale for Christy's quilt. 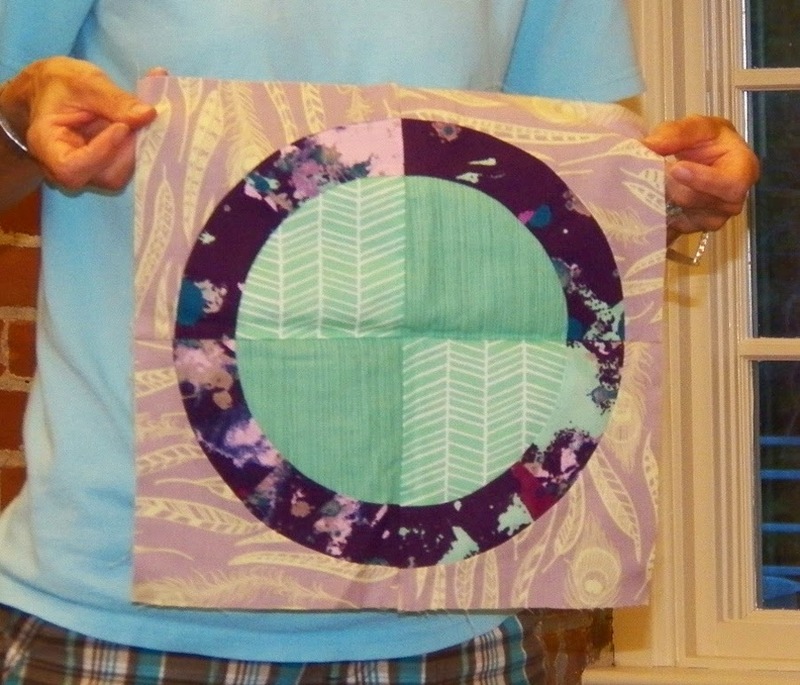 Carole made this pretty block. 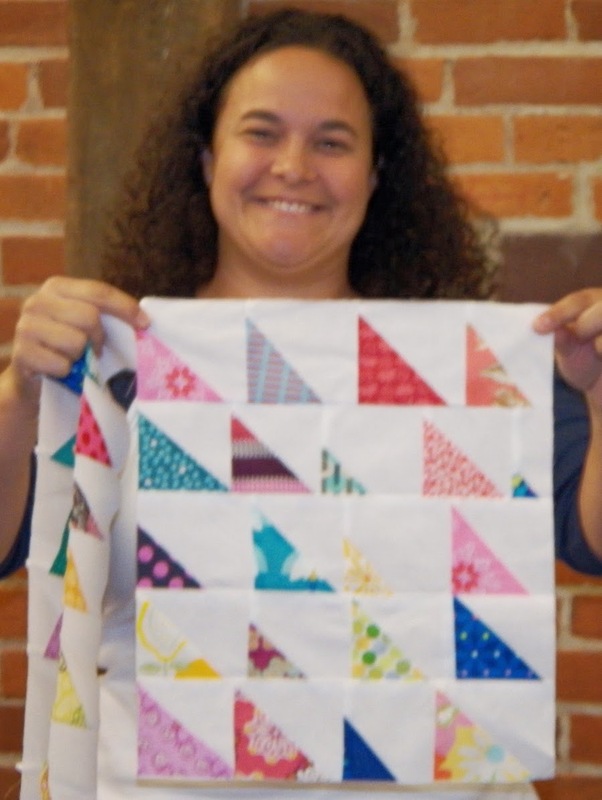 Christine made the block in the upper right for Ellen's quilt. 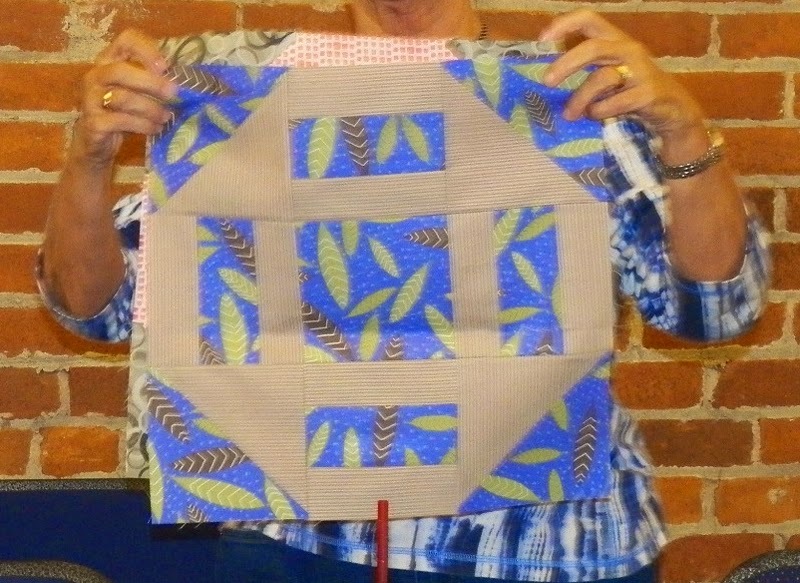 Christy made this block for Kathy's quilt. 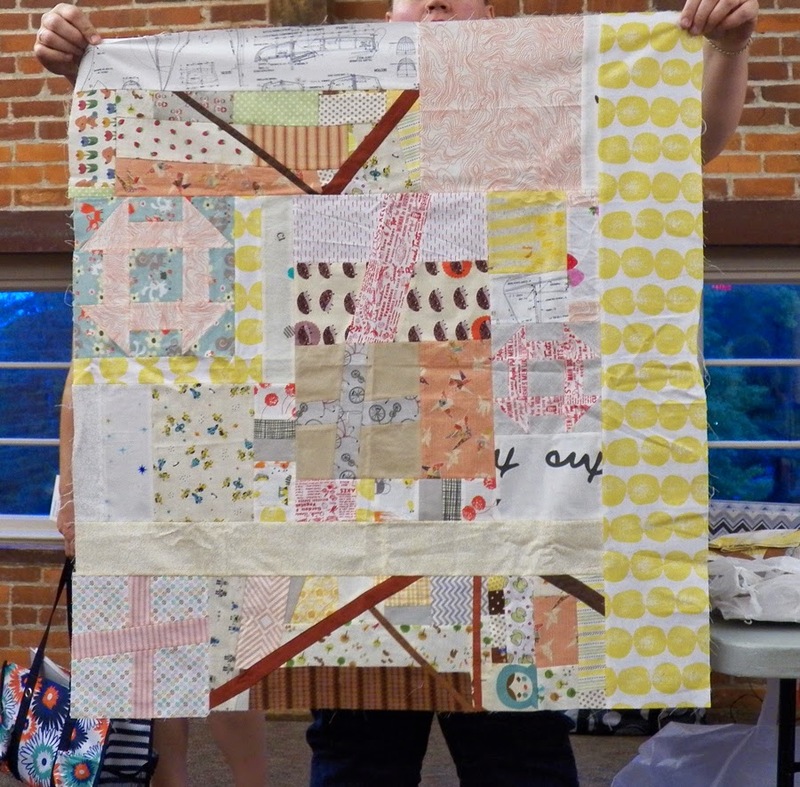 Gillian's low-volume quilt is looking good. 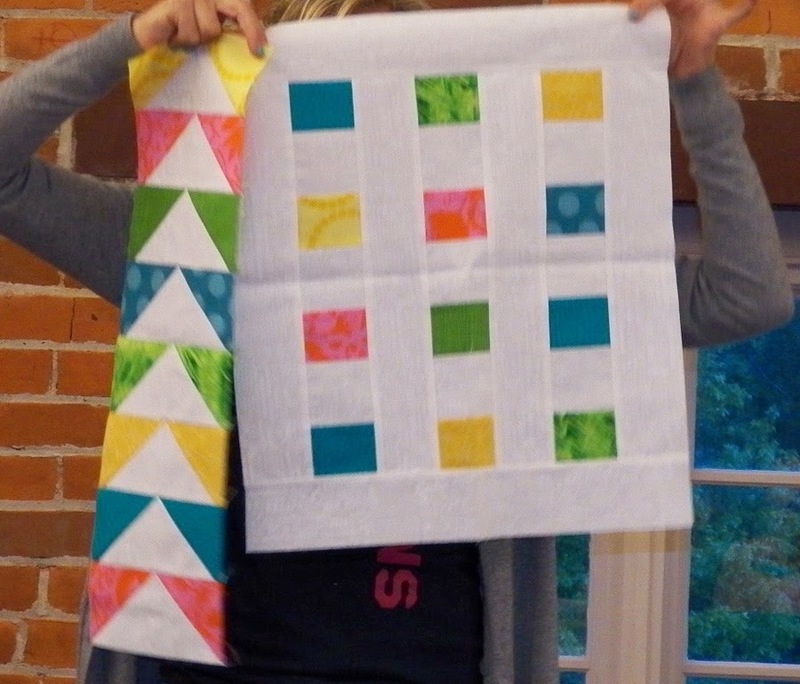 Gillian made this section for Kayla's quilt. 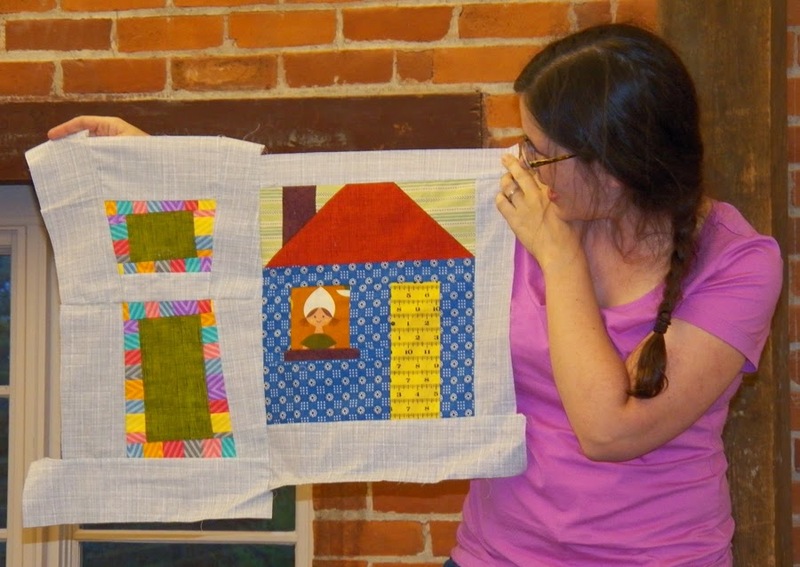 Kathy made these blocks for Janine's quilt. 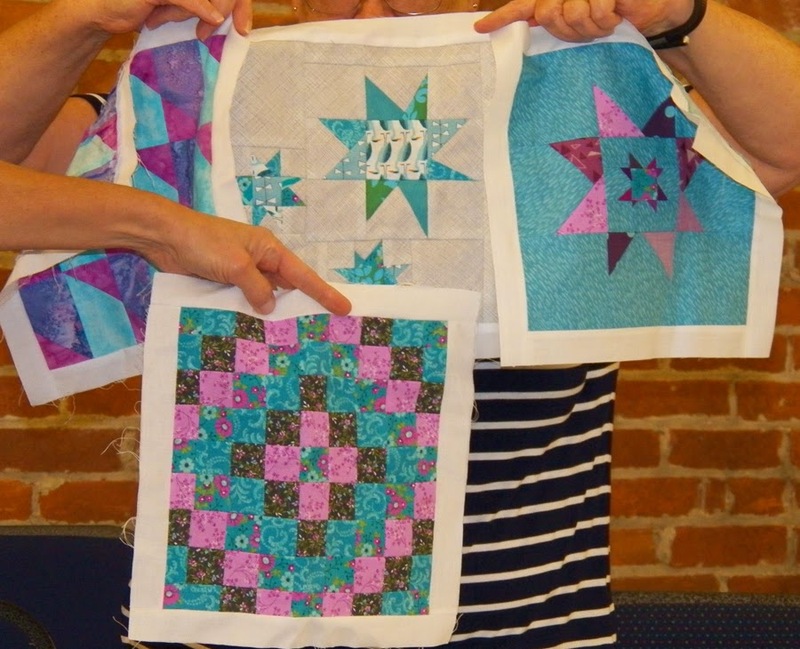 Kay made the star on the right for Kim's quilt. 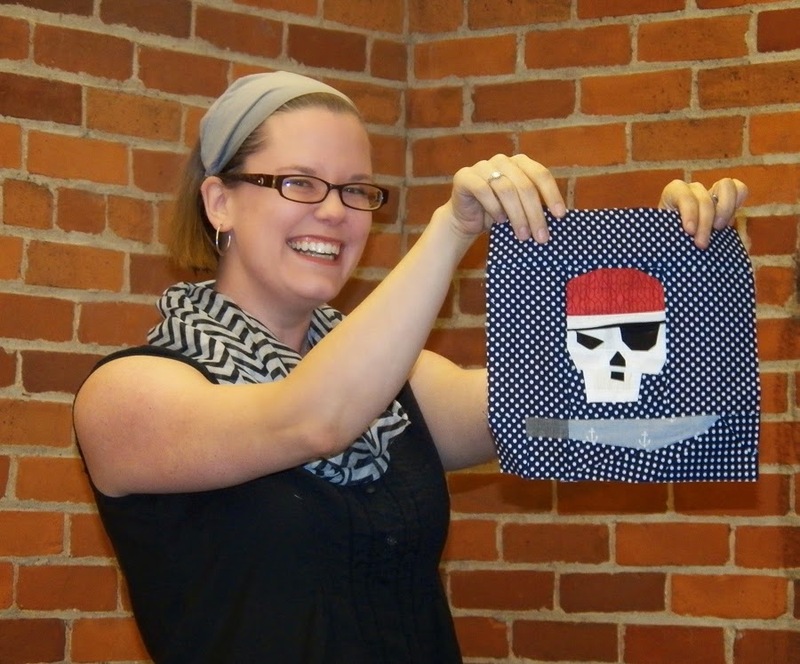 Kayla made this block for Brooke's pirate quilt. Michelle added to this collection of sections. 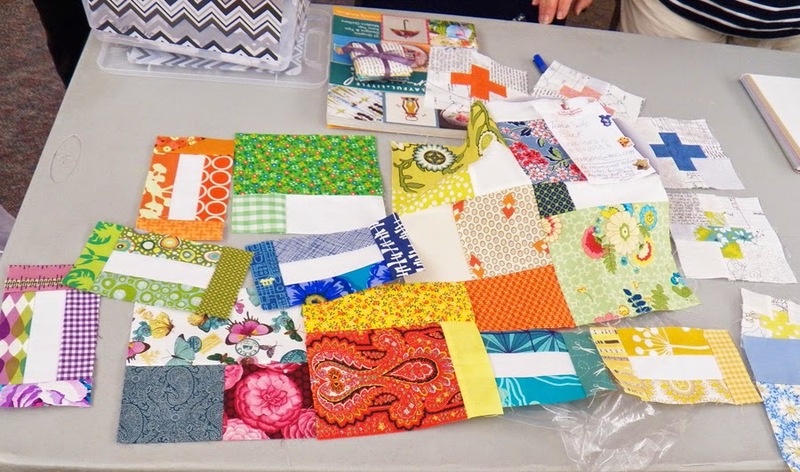 Christine added more bits for Teresa's quilt.